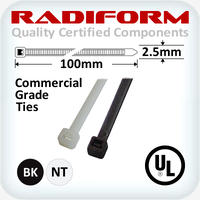 Securing hoses, cables, poles and pipes etc in harsh environments. Polyester powder coating is a dry material sprayed onto a work piece and then cured to form a protective covering. This method of covering and protecting objects has a number of advantages over conventional wet coverings. Polyester powder coating creates a stronger and more durable finish and is more economical and safer for the environment than many forms of liquid coatings. 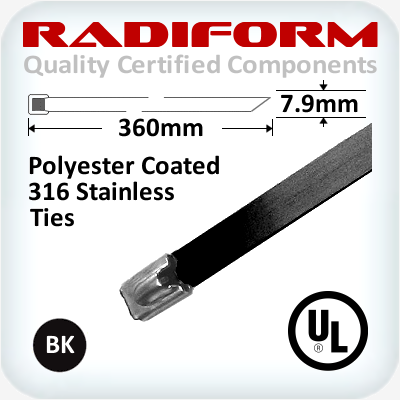 Polyester Powder Coatings provide smooth texture and resistance against corrosion to a metal. 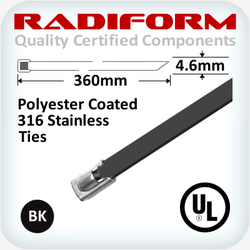 Polyester Powder Coating provides longer shelf life and provides excellent hard protection. 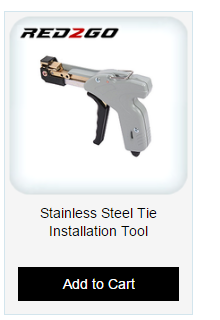 Do you need a stainless steel tie installation tool?